Guide: bulk chocolate boxes prices. 4 chocolates from the Lily O'Brien range. 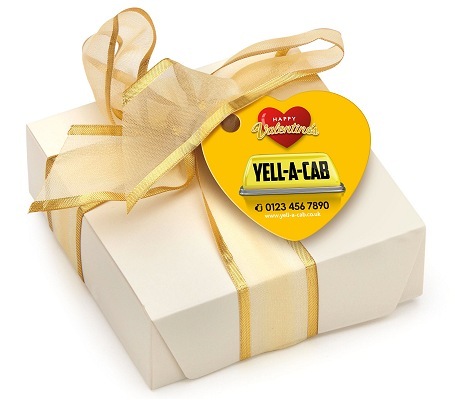 Fully branded 40 x 45mm round or 35 x 54mm rectangular logo printed tag attached with a ribbon.